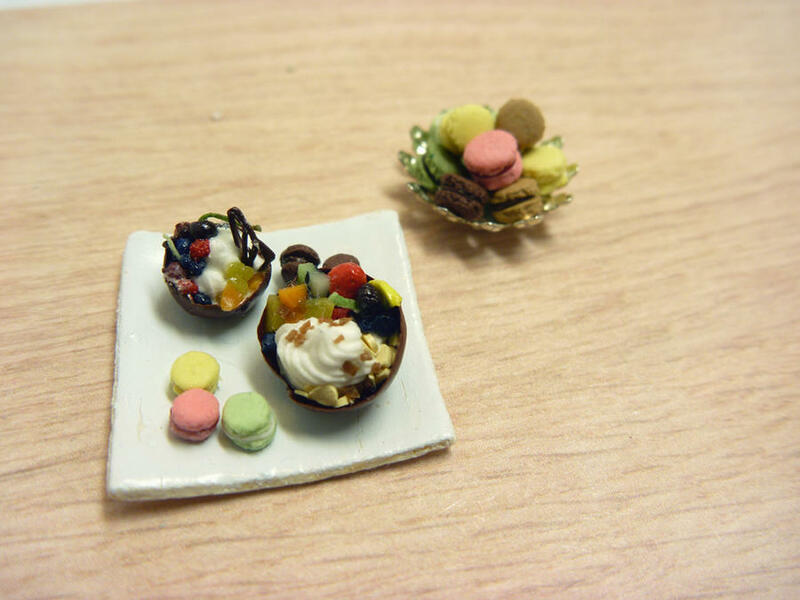 Mini desserts once more:) I should try different types of food, but I came back to dessert in the end. They have a charm cast in me. 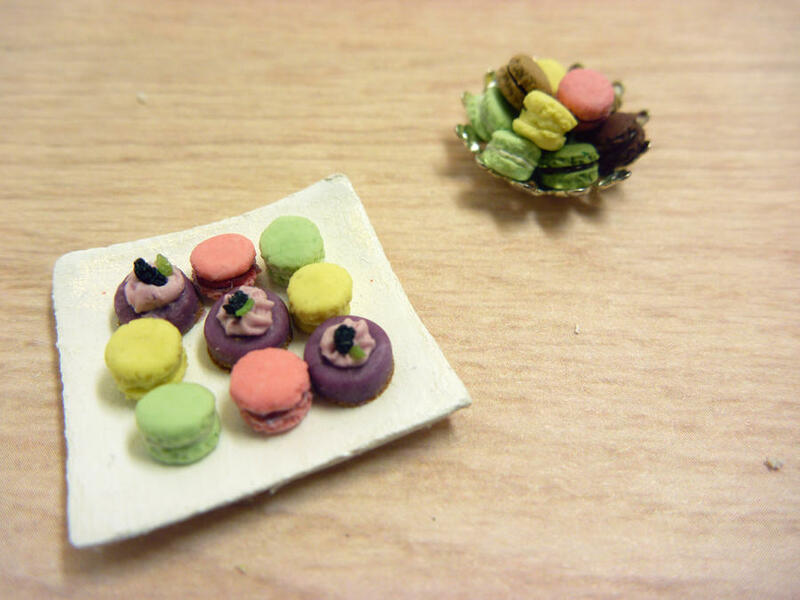 The colour, the design of the desserts are just really attractive. I used the stickers for nail decoration for the lace around the cake. Originally I wanted to use a ribbon, but I did not have one so I used this alternative. 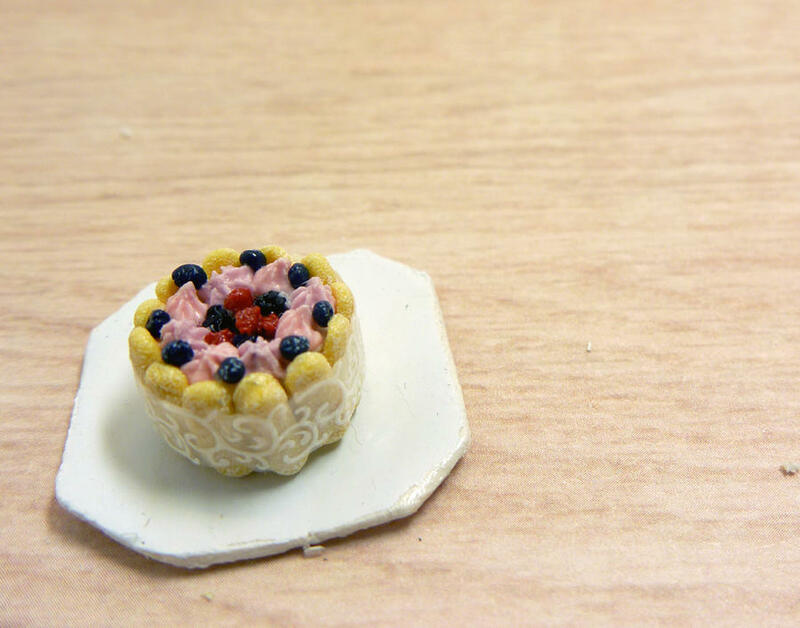 I have not tried many of the desserts I made in small scale, like the Charlotte cake. They look so pretty! 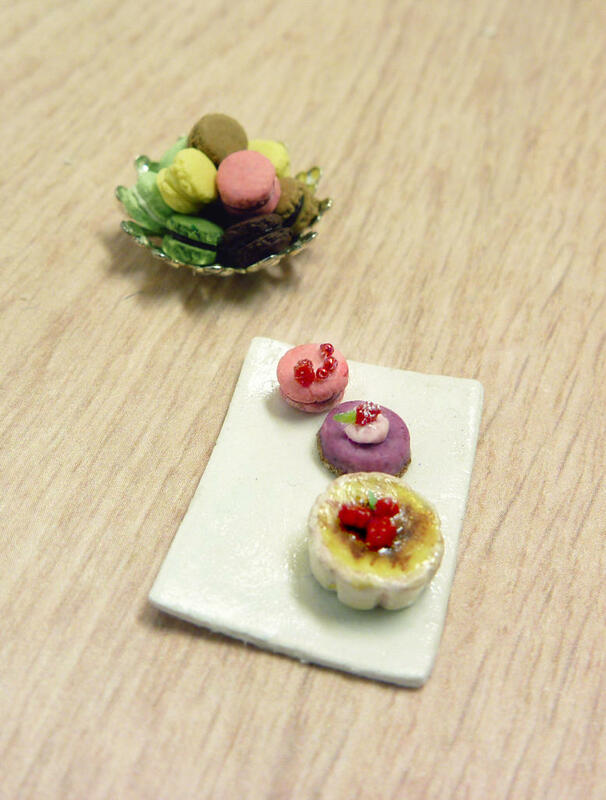 I hope one day I could have a chance to taste all the food I came across while doing research for miniature. A huge chocolate fruit cup. When this is put in a bowl I bought before, it transformed into fruit salad. I could not tell which one looks better so I guess I'll go with this one.